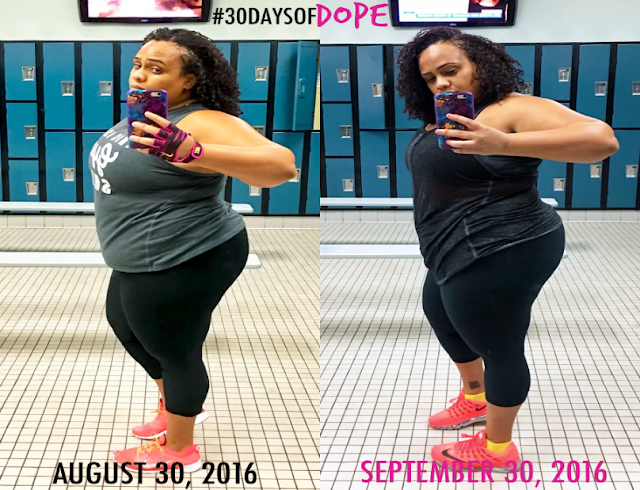 #30Daysof Dope September 2016 is DONE! Here's What Happened. Can you believe the 30th of September has come and gone?! I can't. Last month quite literally flew by. 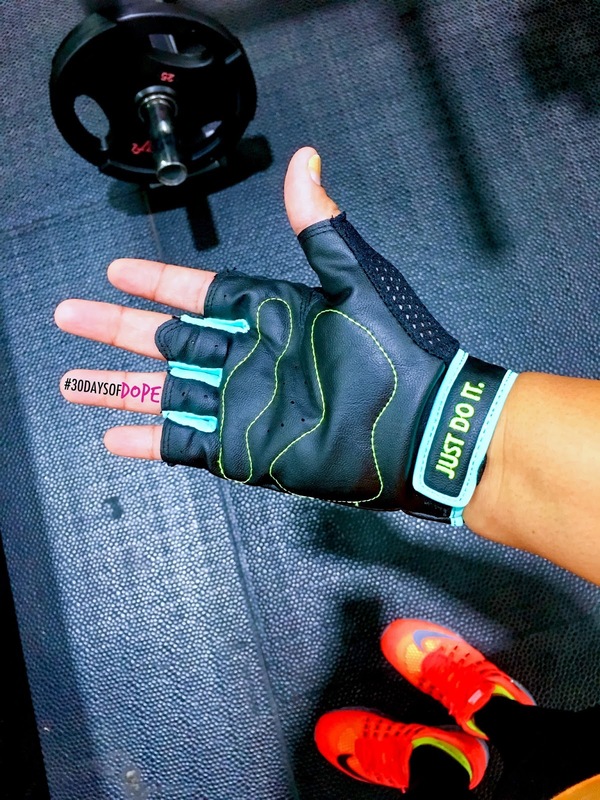 As my e-mail peeps know, I skipped week 3 here on the blog. No excuses - I just didn't make time for it. I didn't even read The Four Agreements on time - I had to play catch up on week 4! None of this means that #30DaysofDope was a bust, though. It was quite the opposite. The July cycle was about discipline. September was all about balance. I can't wait to see what December brings (whoops! just dropped a hint right there lol). Without much delay, let's dive into the last 2 weeks of #30DaysofDope for September. And #DopeFam, we'll be chatting via e-mail this Thursday! The third and fourth agreements took me on a roller coaster ride, literally. It was bad enough to be challenged to not take anything personally, but to follow that up with not making assumptions? I was literally reading the pages like, "c'mon, son!" - but there was so much truth and value in Ruiz' words. Making and then believing assumptions is the root cause of a lot of frustration and drama in our lives, because we allow ourselves to live in this space where we're afraid to ask questions and feel burdened with the assumption that we should "already know". We're going to dissect this a little bit more in this week's e-mail, so make sure you drop your e-mail addy in the topbar above this post to get on the #DopeFam e-mail list. On another note, how awesome was the fourth agreement, and the awesome timing of #30DaysofDope? Always do your best sent chills down my spine and put a huge grin on my face. Ya'll shoulda seen me in the gym, smiling on the stairmaster. Literally nobody does that. 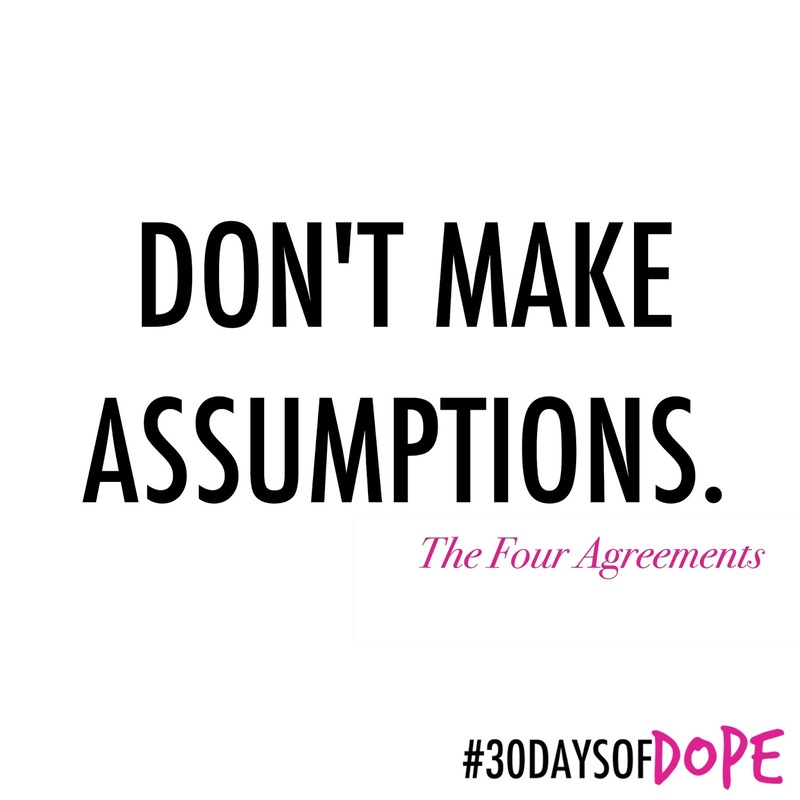 The reason why the fourth agreement excited me so much was because the message coincided so well with #30DaysofDope. In fact, that pretty much sums up the challenge in four words. Not to mention, Ruiz echoes the sentiment I have expressed throughout the entirety of this challenge - excellence is relative. Your best will look different day to day, hour to hour. Doing your best is about more than X-ing tasks off of a to-do list. Excellence is about being able to look yourself in the mirror and say, "I gave it my best." Honestly guys, my body is changing. It's a slowwwwwwwww progression (Jesus it's slow), but it's happening. I don't spend every day in the gym, and every workout isn't on 10. But it's happening, and I'm finally in a space where I feel like hard work and consistency is paying off. The Transformation... on the outside. Lower Carb (and fat!) Ground Turkey Tamale Cups. Want the recipe? Let me know in the comments! Meal prep is still bae, and I'm about that lowered carbohydrate intake life, and finding creative yet palate-pleasing substitutes and tweaks for my favorites. What started out as a test of discipline ultimately has become a way of life. Even Samuel is on board with meal prep. September didn't come without its challenges (it seemed like somebody's birthday was every weekend, lol), but I did the absolute best I could in every situation. Sometimes that meant turning down the glass of wine I really wanted, or having just a spoon of rice with my meal. And sometimes it meant eating the cake. Overall, I committed myself to improving my eating habits and following (as best as I could) the macros laid out in my meal plan. Now that I'm learning more about food and fueling my body, I feel a lot more comfortable experimenting in the kitchen. If you follow #30DaysofDope on Instagram, then you know exactly the kind of meals and recipes I'm talking about. Plus, I share the recipes here on the blog too. I haven't finished the Fruit of the Spirit devotionals. I said I wasn't going to rush through them, and I meant it. I've made it through love, joy, peace, and patience...and I feel like I want and need to go back and read them again before I move on. Sometimes I feel like when it comes to the Bible, we can pride ourselves on how much we read, or how many scriptures we know by heart. But how many do we walk out in our daily lives? How much do we commit to understanding? That's another reason why #30DaysofDope is set up the way it is. I didn't want to take a one-and-done approach to my relationship with God. It requires work, day in and day out. This time around, #30DaysofDope has given me a little something more than just an improved prayer ethic, or scriptures to commit to memory. Through everything that's going on, I've been blessed enough to experience the tip of the iceberg when it comes to God's peace. I'm not anxious or frantic. I don't feel overwhelmed. I find myself praying for others more than I pray for myself. I'm working on spreading positivity, and letting God truly shine through my actions and interactions with others. I ain't nowhere near perfect - but I'm trying. Some days are better than others, but I'm giving it what I got. Peace. Perspective. Balance. 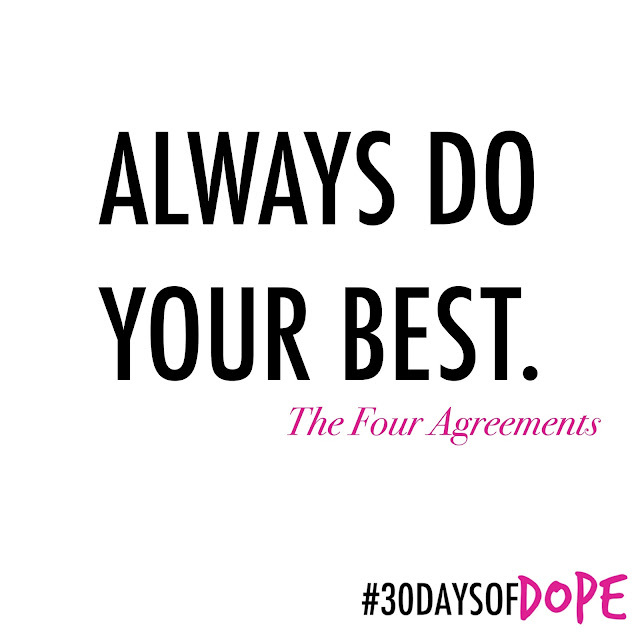 Just three of the things that this cycle of #30DaysofDope has taught me, and continues to teach me. #30DaysofDope isn't a magic bullet or one stop shop solution. It's about truly connecting mind, body, and spirit on the path forward to personal excellence. Just because September is over doesn't mean I stop or you stop. We keep going. The dopeness continues, so stay tuned for more. 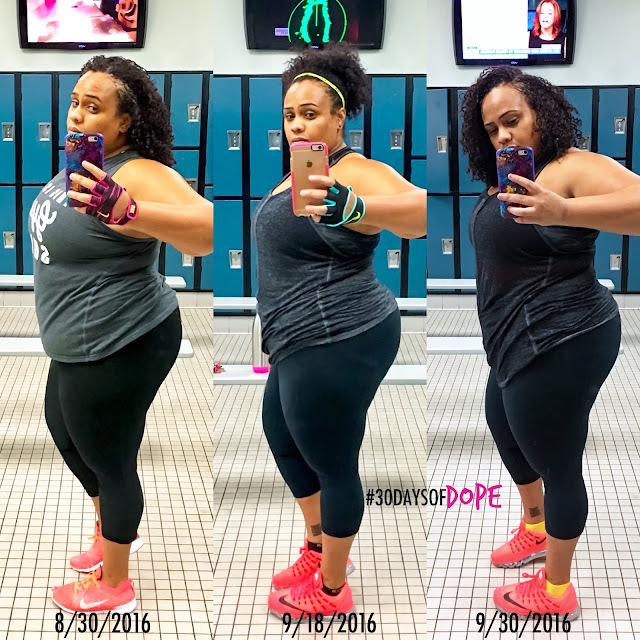 And don't forget to drop your e-mail in the topbar above this post - I'll be sharing testimonials from September cycle participants, tips on how to keep forward momentum, and more! Catch up on the September 2016 cycle here! What is #30DaysofDope? Read about the challenge here! Christina, I'm always looking for healthier takes on recipes without having to sacrifice flavor. 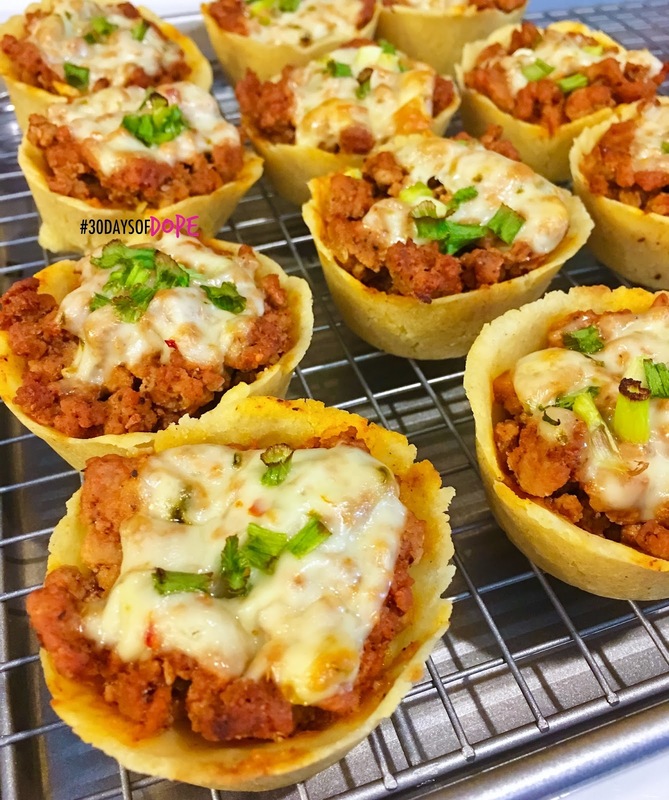 The tamale cups look really good, please share the recipe!